One of the most in-demand and diverse job industry in today’s society is in the information technology field. Probably because of how modernized the world has become, and IT is one of the closest and best contributors to it. 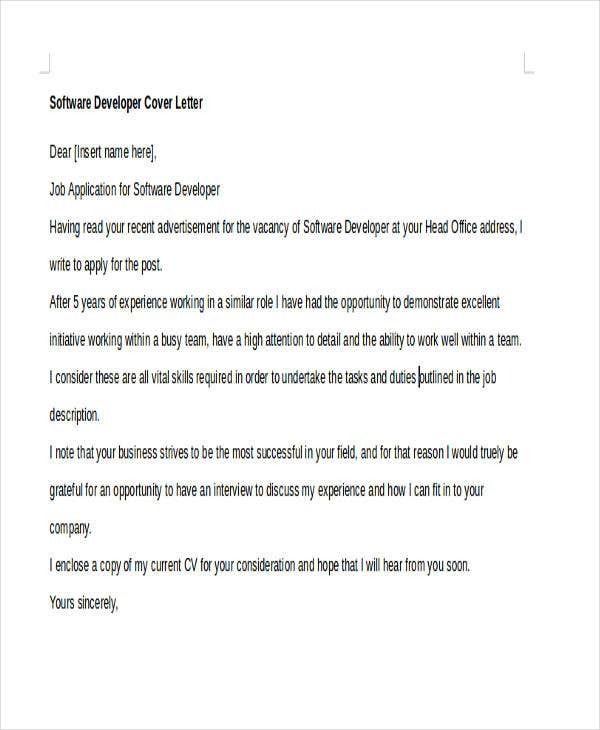 Regardless of what IT position a person is eyeing for, having a well-written cover letter will always put the applicant in an advantageous position. 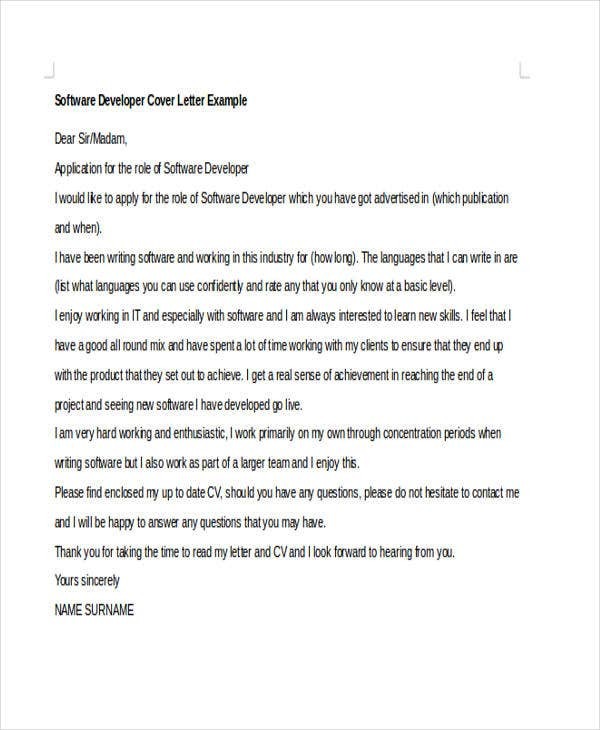 If you are seeking for a software developer position to be specific, we offer an array of cover letters that will surely be beneficial to you. Scan through our pages and check out the Free cover letter samples we have to offer. Elaborate more what you got on your resume. Describe why you are a good match to the company. Aside from explaining what you have done in the past, show employers what are the things you can do in the future that will be beneficial to the company. Think of the key points that you can bring to the company. If your prior experience does not show you as an ideal candidate for the position, then try to focus on your skills instead. It is a good point to let hiring managers know what your skills and talents are. Some applicants tend to overemphasize their educational backgrounds. Honestly, what hiring managers need the most is your work experience, you may include your internship experience too. Show them what you got and deliver on the first day. 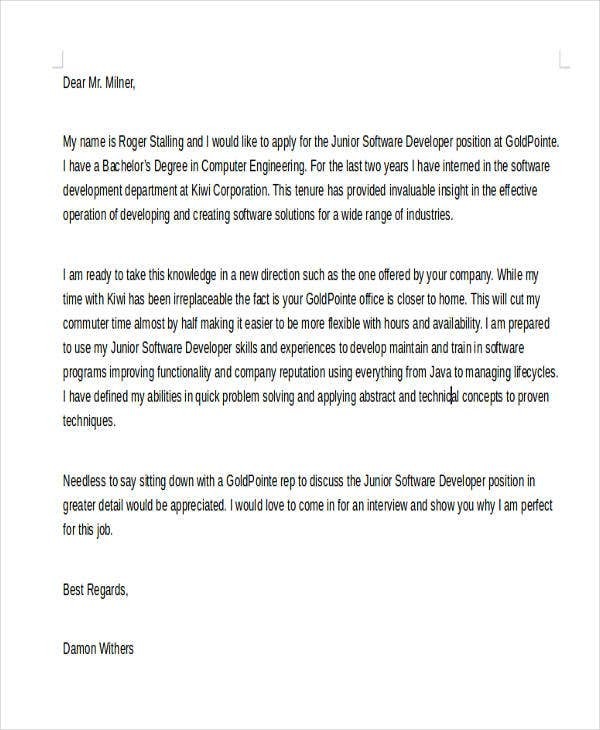 If you want to avoid any errors when making your cover letter, make use of templates instead. Here, we have sample cover letters that are ideal for reference. 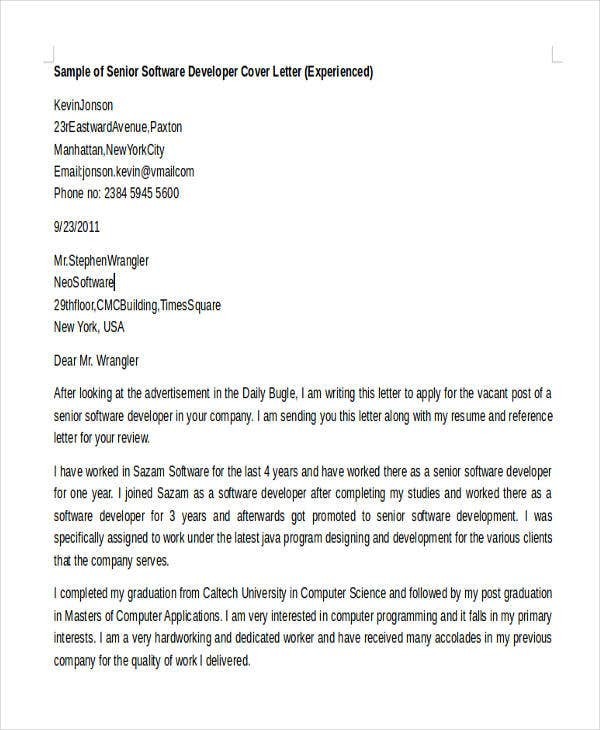 Check out our other samples such as these Best Cover Letter Templates and Word Cover Letters. As much as possible, avoid any unnecessary details. Be straightforward when writing up needed information. Think of how to entice employer’s attention. Show more empathy for the hiring manager’s sake. This is one way of nailing the next phase which is the interview. In case there is a personal connection, you may write it down in the first few sentences. It is highly possible you have friends working in the same company. Make your cover letter format not more than 1 page. Hiring managers are in a fast pace environment. They need to see the real score as quick as possible. If you have more than 1 page, it is as if you don’t care about their time. To make it more effective, make use of the information from the job description. Don’t forget to be relevant when you are explaining to them why you are a good fit for the position. These are essential to lessen the time when it comes to resume making. Templates can also help you determine what is the proper format to use. 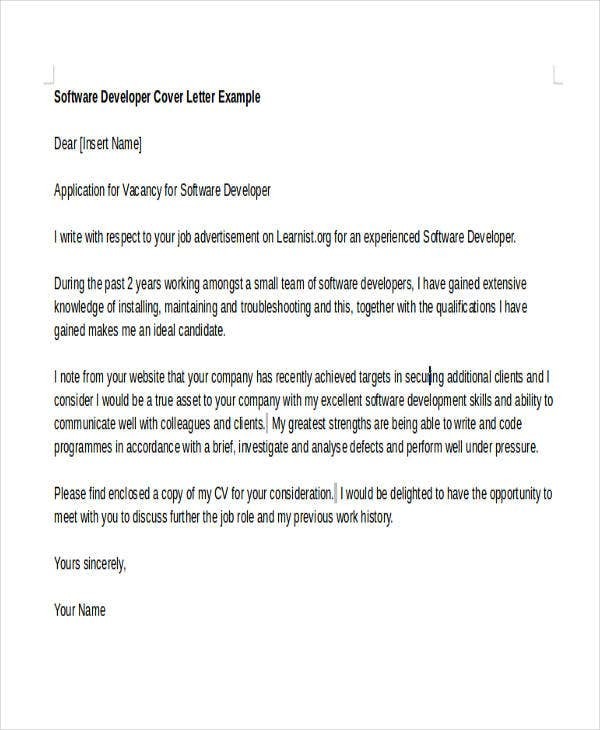 These cover letters that we offer are made by professionals, so they are free from any errors or typos. But of course, these are easy to edit too! 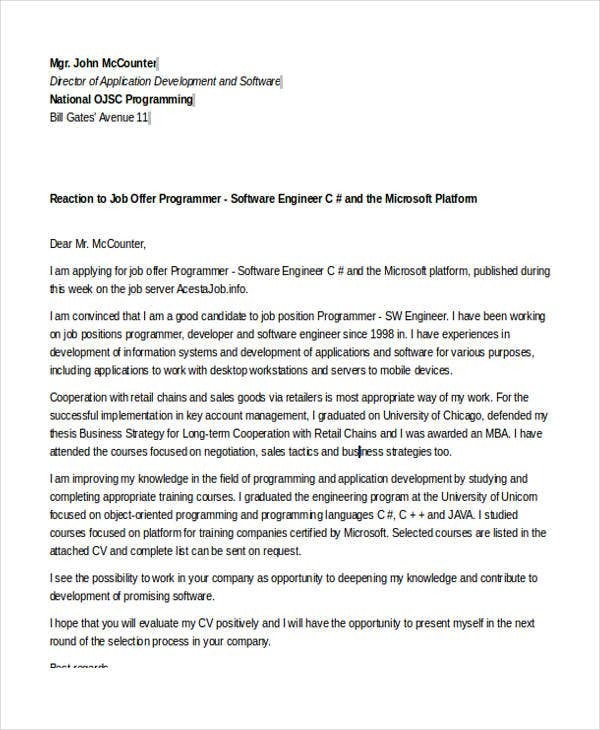 You might want to see our Email Cover Letter Templates for more options.